Thumbing through a pack of 2016 Topps Allen and Ginter baseball cards, the tally of superstars read like a who’s who of baseball. Mike Trout, Clayton Kershaw, Kris Bryant, Ari Shaffir, Albert Pujols … wait whose organization has a top prospect named Shaffir? 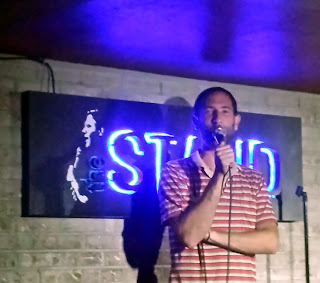 A quick flip of the card reveals that Shaffir is not in the set for his mammoth home runs or his unhittable curveball, but for his prowess at making people laugh. 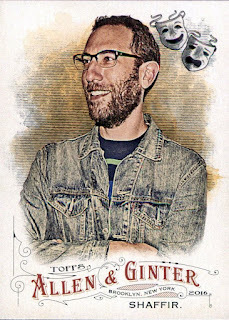 Shaffir is a comedian best known for his Comedy Central series, “This is Not Happening.” Continuing with Topps’ efforts to diversify their Allen and Ginter set, Shaffir’s inclusion in the set represents Topps’ eye for highlighting rising stars. 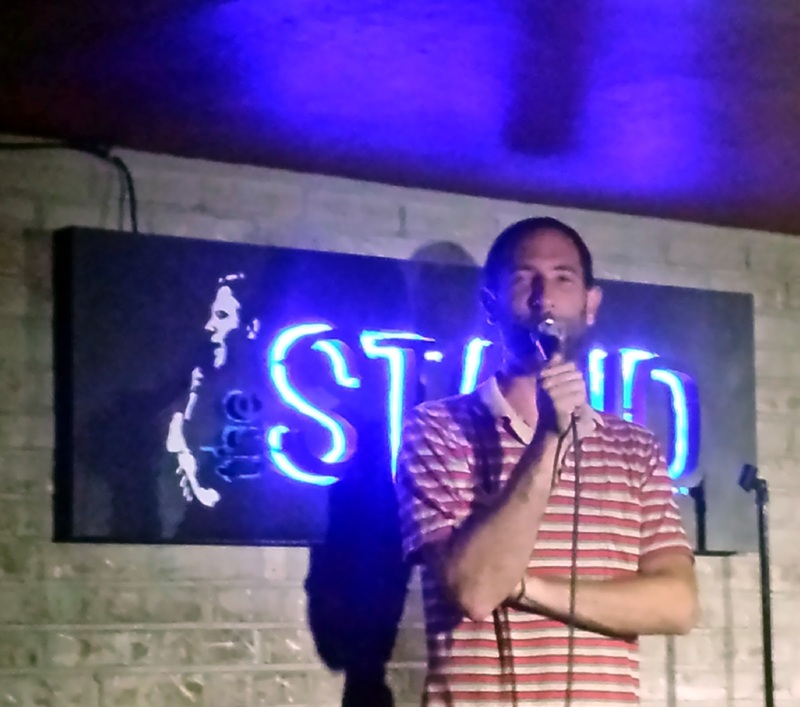 After a recent performance at The Stand in New York City, Shaffir sat down to discuss the experience of being immortalized on a baseball card. The opportunity arose from a recommendation by a fellow comedian who was in last year's set. Growing up, Shaffir collected Topps baseball cards. The hallmark of his collection was an iconic card of Hall of Famer George Brett. One of Shaffir’s favorite players growing up was Frank Thomas. Never in his wildest dreams did he think that he would be in the same baseball card set as the Hall of Famer, but with the advent of 2016’s Allen and Ginter set, that dream became a reality. Part of Shaffir’s inclusion in Topps’ set involved him autographing cards, as well as providing event worn memorabilia for limited edition inserts. He went behind the scenes at Topps' iconic headquarters in New York City to meet with their representatives to fulfill his duties for the set. 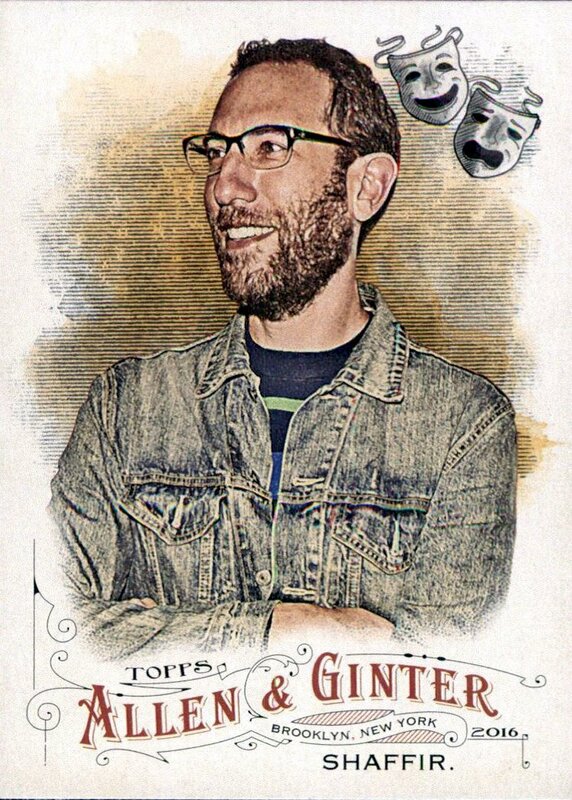 Now that Shaffir has an official baseball card, he is receiving major league treatment from fans. When he recently returned from touring, his mailbox was full with unexpected requests to sign his rookie card. Shaffir welcomed fans to send him his new card to sign. He offered time-tested advice for making a mail request; send return postage.